Drozdov was born in Minsk, but “details on his early life are vague,” said The Washington Post. 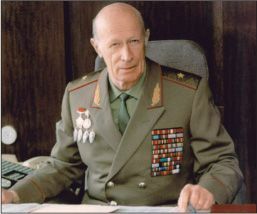 He served in the Russian army during World War II, joined the KGB in 1956, and was initially stationed in East Germany—where he said he attended a theater school to “learn the art of impersonation.” Drozdov “played a minor role” in the 1962 spy swap of a downed American reconnaissance pilot for a convicted Soviet illegal—the inspiration for Steven Spielberg’s 2015 film Bridge of Spies. After spells working under diplomatic cover in China and the U.S., Drozdov was named head of Directorate S in 1979, said the Associated Press. His agents, some of whom had to pretend to be married to a fellow “deep cover” spy, were generally “considered the elite of Soviet intelligence.” Once deployed, they were essentially on their own. Some hid caches of equipment in their adopted countries for use in emergencies.